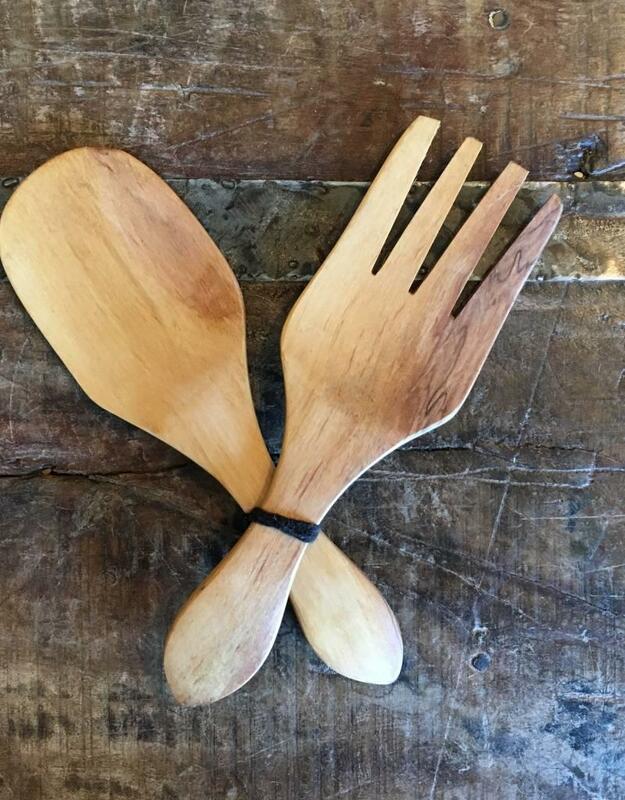 Fair trade and handmade from olivewood in Kenya! Colors may vary slightly per set. 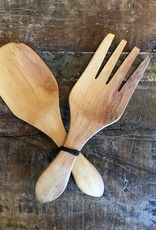 Both the fork and spoon measure about 8" in length.